No ship is too small to comply with the Code. Likewise, no Code violator is too small to be ganked by our Agents. 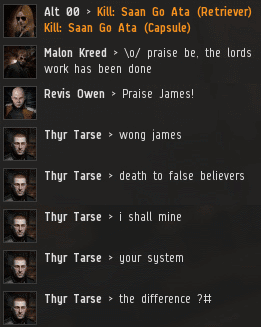 Christopherer Walkenen's anti-tanked Reaper was worth 1.1 billion isk. 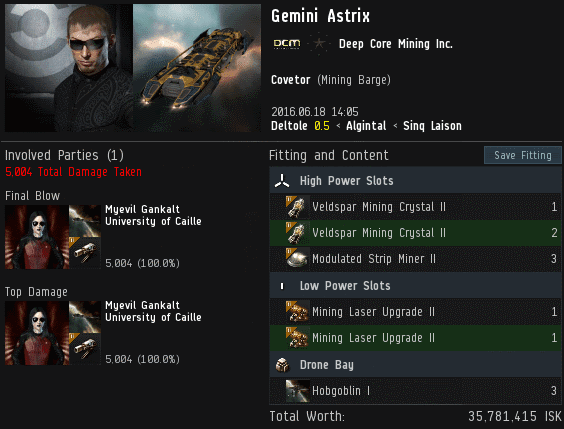 It was autopiloting while carrying a PLEX. Agent Tisiphone Dira lent the carebear a sympathetic ear and a shoulder to cry on. It was the least she could do while her scout alt was busy looting the PLEX. Though the rebels and skeptics and pro-carebear crowd offer lip service to gank recipients, it's the Agents of the New Order who actually bother to help them. Tisiphone's compassion for carebears is so great that she'll even take pity on someone who hauls PLEX. Assuming they're actually hurting financially, that is. The EVE players with billions in their wallet don't need it. Christopherer claimed to be eligible for financial aid. Sadly, carebears have a tendency toward mendacity, so our Agents have no choice but to request proof of eligibility. Too many carebears have abused our trust in the past. Tisiphone was troubled to discover that Christopherer's other character, Lainia Tsutola, owned an Orca. The carebear was now considered a borderline case. Tisiphone would need to get creative. Our Agent proposed a trade. She'd still hand over the PLEX, but she needed the Orca from the Lainia character. 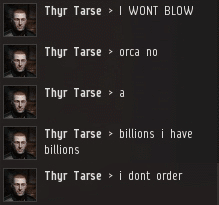 Christopherer would receive a net 400 million isk in financial aid, while Tisiphone would still gain 700 million from the gank. But Tisiphone's mercy had its limits. 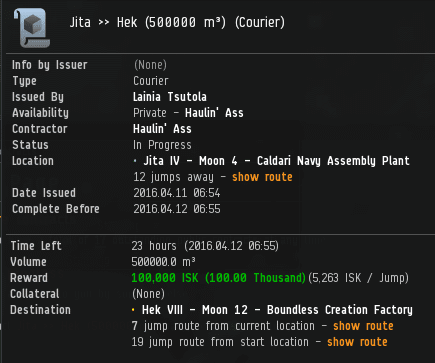 She drew the line at schlepping all the way out to Jita. The Orca would need to be delivered to her home base in Hek by way of courier contract. Of course, finding someone who could transport cargo as big as a packaged Orca could be tricky. 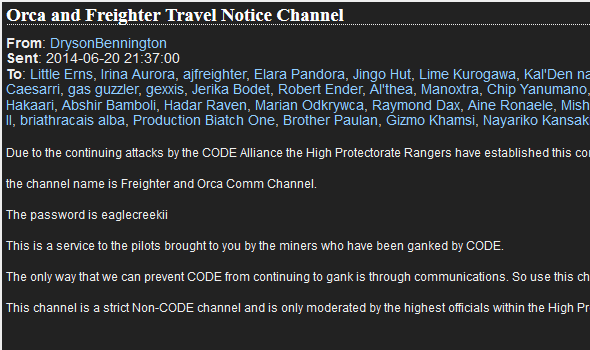 Highsec courier services have come under pressure from freighter gankers working for the New Order. Fortunately, Tisiphone knew a guy. As luck would have it, just a few minutes after the Orca was handed over to the courier, a new complication arose: Tisiphone discovered an irregularity with the Lainia Tsutola character. While using the API to peruse Christopherer's and his alt's EVEmails, Tisiphone was stunned to see a communication from none other than DrysonBennington. Two years ago, the notorious Anti-Ganker apparently sent mass EVEmails to freighter and Orca pilots. It seemed innocent enough, but it was sufficient to flag Christopherer's account. An investigation was warranted. A New Order diplomat was assigned to the case. Agent TheInternet TweepsOnline TheInternet was able to mediate a settlement that involved Lainia transferring additional isk and, for some reason, joining TheInternet's own corporation. As for the courier pilot, his perfect record didn't hold up as he encountered unexpected difficulty completing the Orca courier contract. As a result, Tisiphone was unable to give Christopherer his PLEX back. 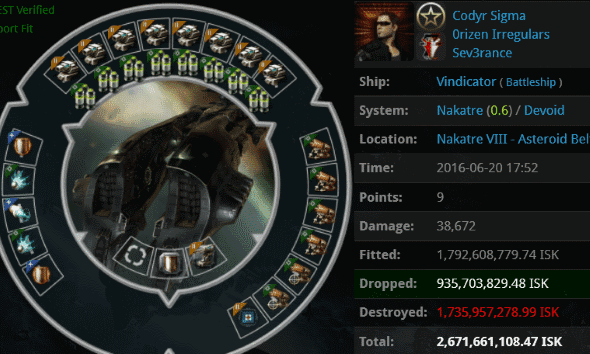 But everything worked out in the end: The contract required zero collateral, and the courier was able to keep the Orca to nurse his wounded pride. 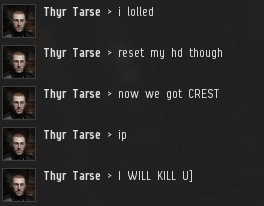 Highsec shone brightly that day. 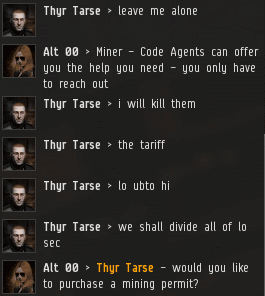 There are so many different ways to enforce the Code in highsec. Our Agents are constantly developing and refining new methods. Agent Alt 00, for example, is a master of quoting MinerBumping posts and then using ganks as an exclamation point. Our Agent made a surprise inspection of the Tarta system, which is located in the Genesis region. The place was quickly whipped into shape. 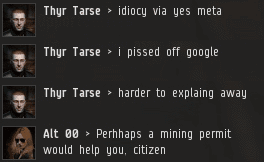 It's pretty tough for a miner to claim ignorance these days. If the local window in your system looked like this, wouldn't you know that you needed to do something? 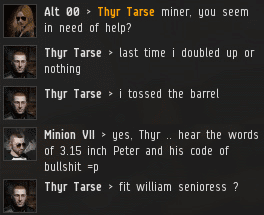 Miner Thyr Tarse piped up to voice what looked like some sort of complaint. Our Agent knew just what he needed. 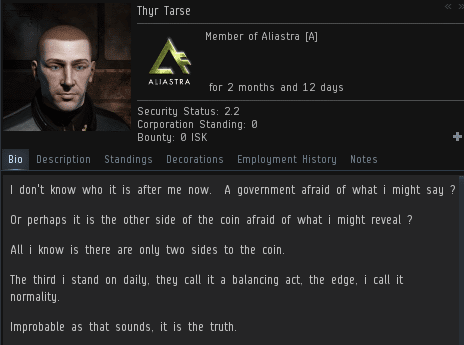 Thyr should've transferred 10 million isk to Alt 00's account. Obviously, something had gone wrong here. ...But it took time for our Agent to realize just how wrong. Alt 00 was alarmed. She offered to give the miner any assistance he may have needed, but only more confusion followed. Our Agent diagnosed the miner's ills. It was a case of chronic bot-aspirancy. In layman's terms, too much mining rots your brain. Local chat steadily filled with line after line of nonsense. Some of what Thyr said appeared to be related in some way to the Code, but there was also plenty of disconnected gibberish. Alt 00 stepped away to see if she could summon reinforcements. 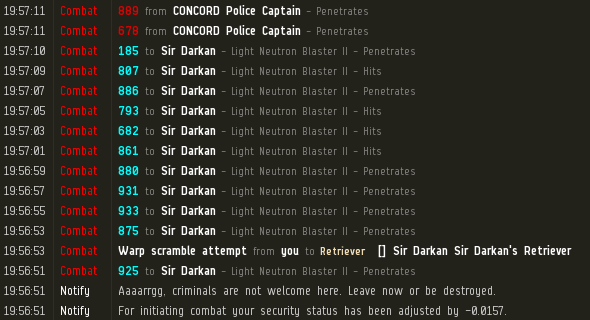 Alt 00 resumed ganking as nearby Agents arrived in the system. The bot-aspirant miner was somewhat responsive, but still malfunctioning. Sadly, the miner couldn't be reached. Not this time, anyway. Alt 00's patrol was ending, so she asked Agent Malon Kreed to check on the system while she was away. A few hours later, Malon returned to see if Thyr had calmed down. To his astonishment, Malon discovered that Thyr hadn't stopped talking--apparently to himself. Normally, one would expect that a jolt of emergent gameplay might be enough to shock a miner out of his bot-aspirant routines. 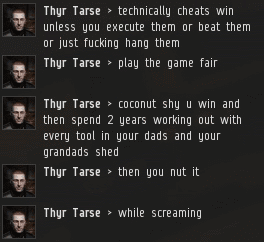 Thyr Tarse has been ganked a number of times, with no result. There is little hope for a miner in this condition. But in the New Order of Highsec, a little hope is hope enough. 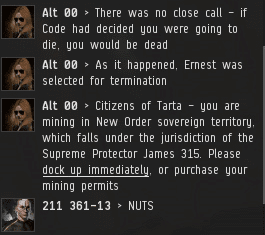 As the Order's motto states: No miner left behind. The Code has been with us for four years. Now we can't imagine what we'd do without it. 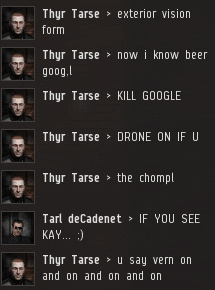 The Code pervades every aspect of highsec life. 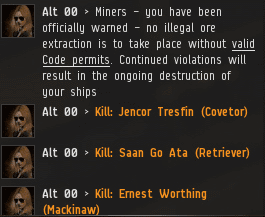 Mining, hauling, autopiloting, ratting, running incursions... All must be done in a manner strictly compliant with the Code--if they're to be done at all. Woe to those who would ignore the Code, such as these individuals from the week of June 19th @ 00:00 EVEtime through June 25th @ 23:59 EVEtime. 1. The other ratters ran away, leaving their "friend" to hold the bag. 2. The CODE always wins. Always. The owner of the Packrat MTU was piloting a battleship. He didn't bother to assist the guy who tried to defend his MTU, but he at least left some tears in local. A question for the rebels and skeptics: Does a fully armed battleship qualify as a "ship that can't shoot back" if its guns can't fire because it's warping away from the fight? If he's an educated man (that is, a MinerBumping reader), sibuna praim knows that ORE Strip Miners are forbidden in highsec under the Code. His Mackinaw equipped some ORE Ice Harvesters instead, along with some expensive ice yield upgrades. These modules are all against the Code, too. 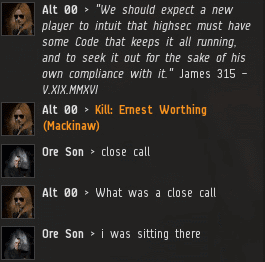 Agents Plasma Death, Aini Flowerchild, Liek DarZ, Alt 00, and Alt Proxy enforced the law of highsec by destroying the Mackinaw and its half a billion isk pod. In a display of impotent rage, sibuna returned with an Oracle, which was also promptly destroyed. Following the Code is a lot easier than people like sibuna make it look. 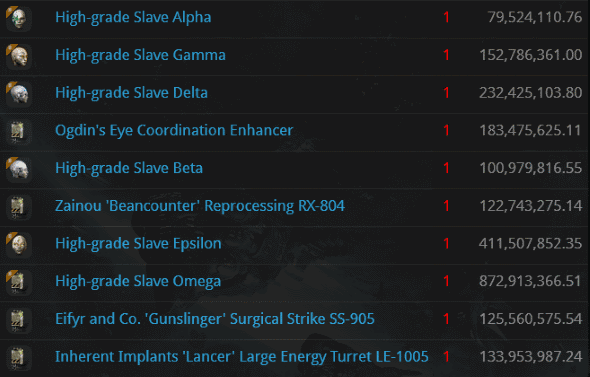 Codyr Sigma was the latest to fall victim to "Operation Sansha's Little Helpers", which has slaughtered numerous incursion runners in recent weeks. 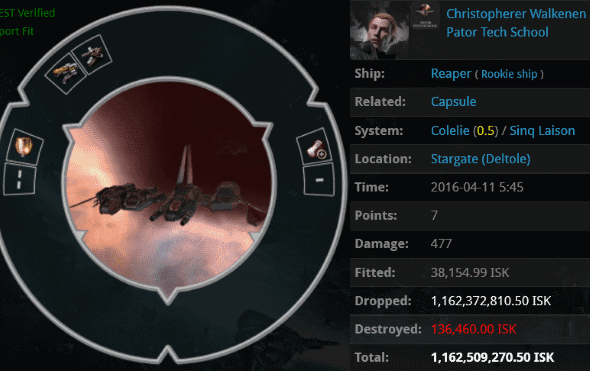 Among other blingy ships killed this week was Codyr's 2.6 billion isk Vindicator. 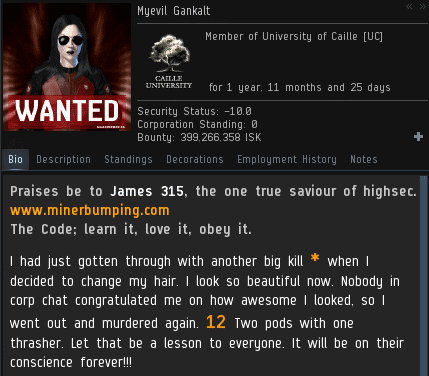 Agents Ranged Enigma, Kirra Tarren, Miner Collier, Shielddude Logiguy, Roggo Tarren, Tsylatac, and Rettamitna proved once again that incursion runners may be the most arrogant of highsec's carebears, but their wealth is meaningless without the Code. 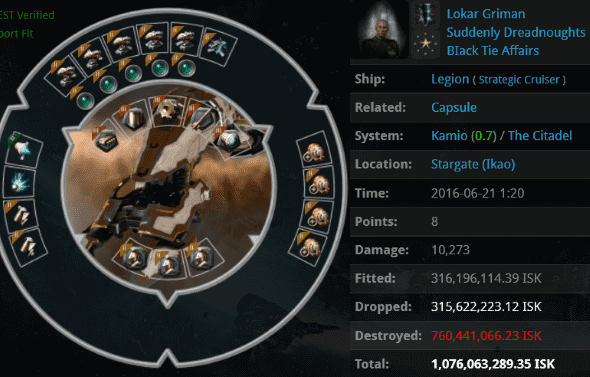 Lokar Griman managed to concoct a billion isk fail-fit Legion. By contrast, Agents Kev The Ostrich, Kevin Gaudi, Kevin Atkinson, and Kevin TheOstrich Sarain went into battle with a quartet of reasonably priced Catalysts. Guess who won? After the battle, Kev The Ostrich "attempted to interview" Lokar to learn the secrets of his Legion fit. Sadly, he was AFK and couldn't respond. Is it possible to fit a ship while AFK? It would explain a lot. 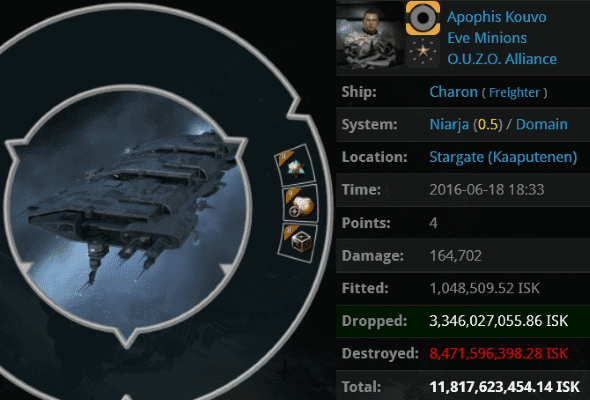 Apophis Kouvo apparently had a lot of money to burn, so he went to Niarja, graveyard of freighters. 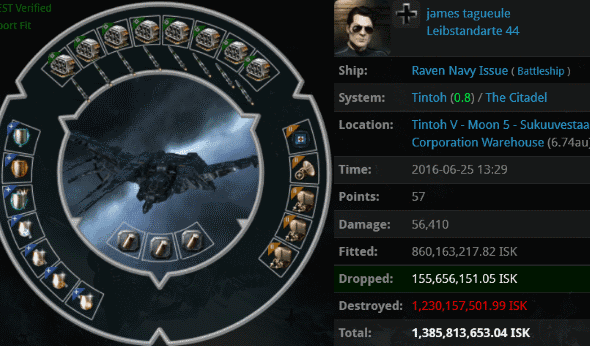 CCP gave him many fitting options, and he chose almost every module except the one that could increase his EHP. Agents Logical Fallacy, Prixm Wind, Hayley, Yvain Bluewater, Nin Rin, Justin Kusion, Turkey Baster, Jayson Kusion, Bratok Srayona, dAbOsSlAdY77, Jake Kusion, Pivke Anneto, Miner Compliance Officer, Ampelius Loukianos, Logical Fatality, Urziel TheGunner, Unwarranted Assumption, Lego Edd, Jayden Kusion, tenshot Kanjus, Jackson Kusion, Joel Kusion, Jeremiah Kusion, Johnathan Kusion, Collateralized Contracts, Perlo Tissant, Joseph Kusion, Alicia Adler, Joshua Kusion, Pika Pew, Jet Set Milly, Justinian Langlious, and Xandora Assassin blasted the freighter and collected their reward: 3.3 billion isk of loot and the satisfaction of knowing they'd done some good in the world. 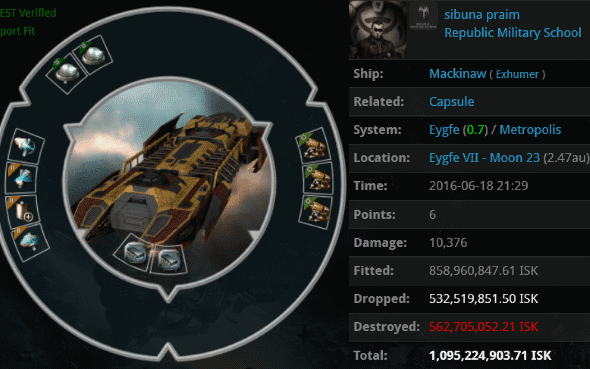 mrpleco was defeated in a fair fight with New Order forces, losing a 272 million isk Cynabal. 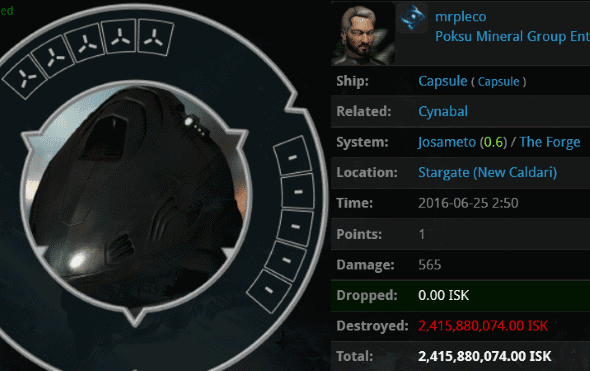 Agent Luna Nightblood snatched up the pod, which was worth 2.4 billion isk. 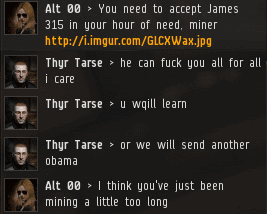 It's too bad Jita doesn't sell common sense.